Having been one of the last ones to go to the Bayani Challenge, I did not know what to expect. I heard so much stories from my colleagues and other volunteers who had gone that it seemed as if each of them had their own unique story to share, from getting hospitalized to being able to go to white sand beaches. I was both anxious and excited, especially since we did not really have any clear itinerary for our trip. But in the end, it all came together and became one of those stories I love telling people about. When I got to the Rosario Lago GK Village in Libertad, Palo, smiling faces from the GK Youth of Leyte welcomed us right away. This was their first day of Bayani Challenge and I could feel the excitement from everyone. While the opening program was ongoing, it suddenly started to rain and it grew stronger by the minute. Naturally, I thought disappointment would take over the high spirits of the volunteers who put in so much effort to make this event possible. But to my surprise, they even became more enthusiastic and did the Unity Dance under the rain and I was compelled to also join them as they celebrated. After all, this event was worth celebrating. Their smiles still shone bright despite the gloomy weather and that, for me, was such an inspiring sight. the others because I was able to meet Dr. Annathurai Ranganathan, the CSR Head of the Asian Football Confederation (AFC). He is one of the smartest people I’ve met and had one of the biggest hearts I know. 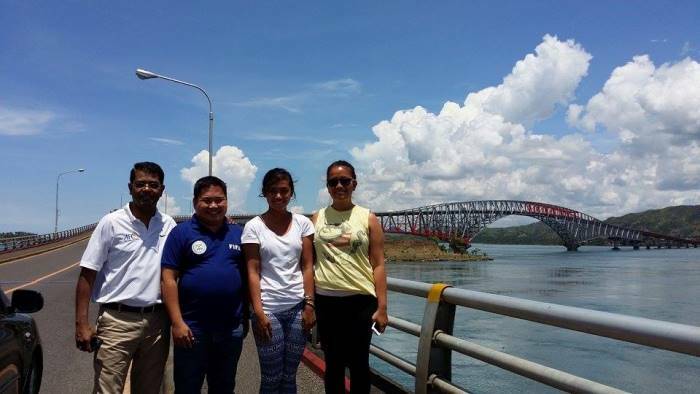 Together, we explored Leyte to look for a possible future AFC village and met more volunteers and GK workers. Meeting the GK heroes on the ground, hearing their stories and their compassion for the poor was such a blessed opportunity, one that I would never have traded for anything. In retrospect, this day felt like it contained more than twenty-four hours because of the sheer number of activities we were able to carry out. From Tacloban, we transferred to Isabel, Leyte where we spent the morning by the bay planting mangroves. In the afternoon, together with the beneficiaries, we helped build the houses and played with the children. Volleyball, stop-dance, and Hep-Hep-Hooray were just a few of the games we enjoyed before sharing a hot cup of lugaw each, especially prepared by the mothers of the village. One of the images that really touched my heart was when I saw two siblings in one corner sharing their cup of lugaw. At first I thought the older brother was going to eat a spoonful of it after carefully blowing it to cool. 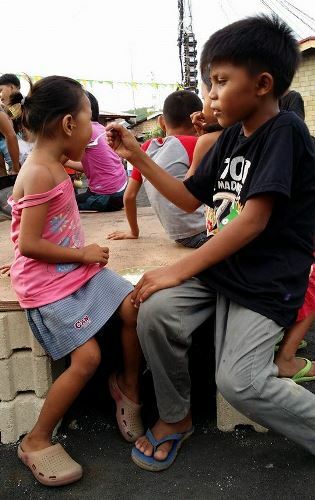 Instead, he fed it to his little sister before eating his share, a very sweet and thoughtful gesture from a boy who was only nine or ten years old. Something I really looked forward to was GK’s trademark boodle fight. I’ve had boodle fights before but they weren’t as fun and enjoyable as having strangers eat beside you and share the food with you. Since this was the closing ceremony, ours was held in front of the municipal hall in Isabel, where we got to interact with the community outside of the GK Village. When everyone finished eating, from afar, I saw a woman bring three men to one of the tables where there was still food. They ate heartily and even placed some of the leftovers in plastic bags, perhaps to bring home to their families. I approached them and simply tried to help by pouring soda into their cups. 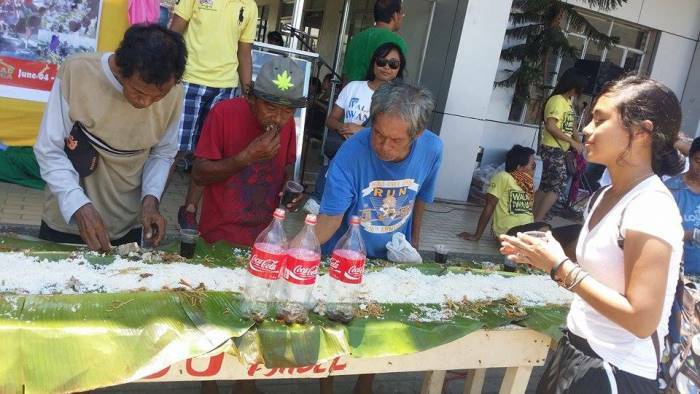 Hearing them say a heartfelt “Salamat.” had made this boodle fight a memorable one. During my last day of Bayani Challenge, I went with some of the volunteers to Basey, Samar to check on some ongoing projects there. Together with some members of the army, the police force, and other GK Youth volunteers, we painted a local park anew. On the same day, we had to go back to Ormoc in time for the Kalinga Night, which was supposedly my last for this trip. Due to the heavy rains, it had to be cancelled. I felt a bit upset but GK does have its way of turning the situation around when things go awry. 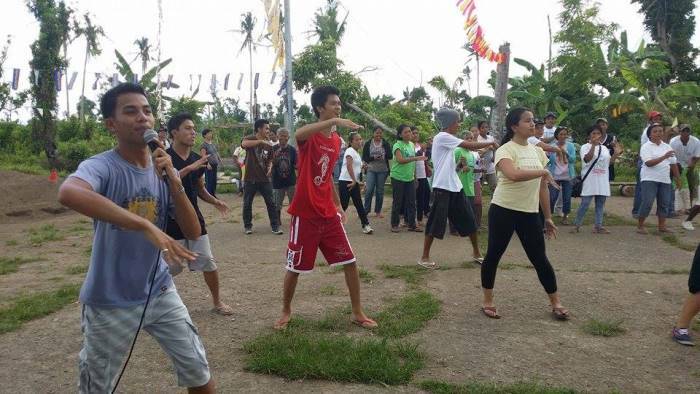 This time, instead of having a Kalinga Night outdoors, everyone gathered in the Sibol school behind the GK office. One of the members of this family from GK USA brought out his guitar and played several songs for us. Of course, we had our own Jed Dycoco (famous for composing and singing the Unity Dance song “Umawit Muli”) to represent and also sing some of his other composed songs. Everyone enjoyed the good music and the good company. This night might have turned a different direction, but it showed me how nothing can really hinder GK, or even just simply people who share the same mission, from accomplishing what they ought to do – a characteristic I definitely wanted to bring home with me from this trip. This summer, over 1 MILLION VOLUNTEERS joined hands in rebuilding Aklan, Antique, Bohol, Capiz, Cebu, Eastern Samar, Iloilo, Leyte, Negros Occidental, Palawan, Samar and Zamboanga through Bayani Challenge 2014. Like Niquie, you can share your stories. Share your Bayani Challenge experience. Send it to info@gawadkalinga.com.